This is the most comprehensive biography of Roberto Assagioli at the moment on the internet. It outlines some of the most important traits in his work, personality and private life. Roberto Assagioli was very reluctant to give interviews about his life, as he thought that it was wrong to focus on him as a person. Focus had to be on Psychosynthesis. However, pushed by his colleagues he agreed at the end of his life to have a biography made, and he chose the Boston psychotherapist Eugine Smith to make it. Assagioli died shortly afterwards, in 1974, and the biography was never made. So what we know from Assagioli’s personal life, we know from his own publications and from people who have worked with him, or who in other ways have had knowledge of him. Roberto Marco Grego was born in Venice, Italy, February 27, 1888. Here he spent his childhood. 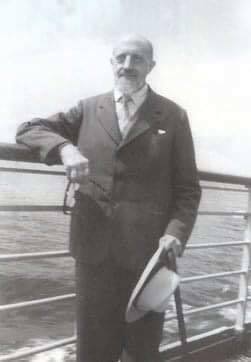 Roberto’s father died when Roberto was 2 years old, and his mother, Elana Kaula (1863-1925) remarried Dr. Alessandro Emanuele Assagioli in 1891, which gave Roberto his last name. Assagioli grew up in a cultural upper-middle-class Jewish family with an interest in art, music and literature, where he received private lessons, as was typical for his time and class. His appreciation of beauty, art and music was stimulated early, and is clearly seen as a part of the basis for Psychosynthesis. It may have been his mother’s studies of Theosophy which early in his life awoke his great interest in Eastern philosophies and in the higher spiritual potentials of mankind. Theosophy is a philosophy which was formulated in the late 19th century, and which developed into a movement with its roots in North America, later spreading to Europe and the East. The philosophy is even older, with roots in the mystic traditions of both East and West. In his home both Italian, English and French were spoken. He was a curious child, eager to learn, and later he learned to speak Greek, Latin, German, Russian and Sanskrit before he was 18 years of age. He loved to formulate himself in writing, and already at the age of fifteen he published the article “Unconscious wishes and conscious work” in the periodical “Giornale de Venezia”. At an early age, he was interested in international relations and he travelled a lot, also alone. At the age of 17, he went to Russia, and this promoted his ideals of liberty, created through non-violence and non-dogmatic social systems. His many journeys taught him that man is the same, no matter which country he may come from, and that deep down in everybody is a desire to develop one’s highest potential. In 1904 his parents moved to Florence where he lived most of his life. Here he studied at the faculty of medicine, Istitution di Studi Superiori, and received his medical degree, specializing in neurology and psychiatry. After World War I he lived and worked for some years in Rome, where he married Nella in 1922 (see picture above). They had a son the same year, who was named Ilario Assagioli. The marriage was close and loving and lasted for 40 years. His main criticism was that psychoanalysis was too focussed on the pathological side of the psyche, and failed to focus on and strengthen what is healthy, as a path to healing. Also, Assagioli said that human consciousness held more layers of consciousness than Freud’s model included. He wanted to create a psychology which contained the urges, but also love, will, wisdom and spirituality. In other words, a psychology with a focus on the entire human being. In the same period, he wrote his treatise he had his psychiatric practise at San Salvis psychiatric Hospital. 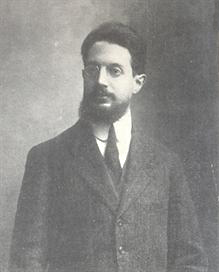 In 1909 he published his new ideas in the periodical “La Psicologia delle idée-forze e la Psicagogia”. 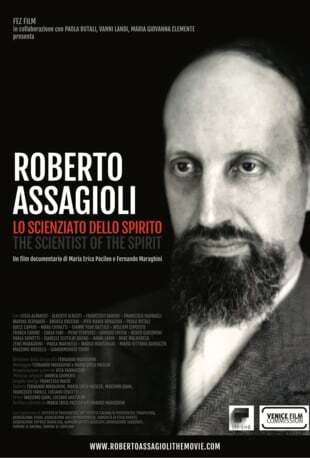 At that time the academic world was very reluctant to accept Assagioli’s hypotheses. Already in the beginning of the 20th century he published several articles, bordering on medicine, pedagogy, philosophy, culture and religion, which later formed the basis of Psychosynthesis. In 1906 he published his first comprehensive article on Psychosynthesis in Farrari’s magazine, inspired by Freud’s article “Jokes and their relation to the unconscious”, entitled “Gli effete del riso el le loro applicazioni pedagoiche”. It dealt with the significance of laughter and its relation to education. The article is known today under the title “Smiling Wisdom”. Assagioli had a broad interest in philosophy and culture and participated in groups of young liberal free thinkers in the Florence of that time. He was one of the most active editors of the cultural magazine “Leonardo” in Florence up to 1907. The magazine was the meeting place for the young intellectuals of Florence. It was founded in 1903 by one of his closest friends, self-educated author and intellectual Giovanni Papini. Photo: The editors of “Leonardo”: Assagioli, Papini and Vailati. At an early stage Assagioli had a clear feeling that the human being was not just a high-ranking animal or a machine. This was in opposition to the ruling concept, namely that medicine and psychology could be understood in the same way as other technical fields. In 1911 he began formulating the concepts of Psychosynthesis, and he continued to dedicate his entire professional life to this task. Roberto Assagioli number ten from the left, the photo appeared in the June 2018 Newsletter, AAP by the courtesy of Catherine Ann Lombard. Having finished his studies in 1910 Assagioli was trained in psychiatry in Switzerland with Eugen Bleuler in the psychiatric hospital Burghölzli in Zürich. Bleuler was the pioneer who defined schizophrenia, and he was one of the first doctors to accept psychoanalysis. 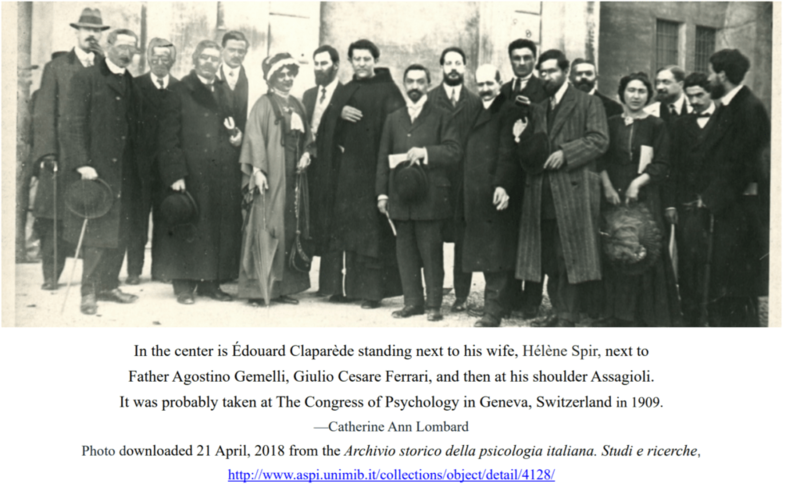 At the time Assagioli opened the first psychoanalytic practice in Italy. It is said that he was not satisfied, neither with his work nor the results of his clinical work. Alongside with his studies at Bleuler’s he continued to develop his psychology in Italy. At first he called it Bio-Psychosynthesis, and later Psychosynthesis. He was not the first to use the term, psychosynthesis, it was also used by Bezzola. 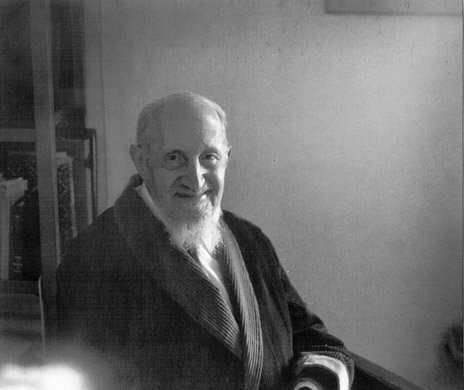 In his early clinical practice Assagioli applied psychoanalytic techniques, but his vision of the human being urged him to compose a large coherent apparatus of analysis to include love, wisdom, creativity and will. His attitude was not that psychoanalysis was wrong, but rather that it was incomplete. As the only Italian, Assagioli was a member of the Freud Society of Zürich, which consisted of pioneers of psychoanalysis. He was also a member of “The International Psychoanalytic Society”. He was deeply involved in the exploration of psychoanalysis, and with Freud and Jung he contributed to the foreword of the official “Jahrbuch für Psychoanalytische und Psychopathologische Forschungen”, in which he wrote an article, entitled “Freud’s Theories in Italy” (Firman/Gila 2002). He contributed articles and commentaries to Freud’s second periodical “Psychoanalysis”. He started a study group with 19 members with the purpose of understanding the human psyche. Assagioli never met with Freud in person, but corresponded with him. In the history of psychoanalysis he is one of the first Italian pioneers. That in itself made him stand out in a time where all studies of the human mind were considered with scepticism. Simultaneously he worked – as we have seen – to develop Psychosynthesis. He had his ideas and thoughts communicated among other places in his periodical “Psiche” during 1912-1915, where it had to close because of the war. His articles were later published in another periodical, named “Ultra”. They are said to have had an explosive effect on the culture of the time. In “Psiche” he translated and published the first of Freud’s writings in the Italian language, authorized by Freud himself. During World War I he served as a doctor and a psychiatrist. In 1926 Assagioli opened the first institute in Rome, “Istituto di Cultura e Terapia Psichica”, which later became “Istituto de Psicosintesi”. In the letter of invitation to the opening it is said that his inauguration speech will be about how to develop the will. One of his most important books later got the title “The Act of Will”. It appeared shortly before his death in 1974. In 1927 the Institute published a book called “A New Method of Treatment – Psychosynthesis”. And in 1933 he was allowed to call his school in Florence “Istituto de Psicisintesi”. 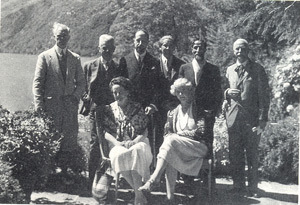 The institute was headed by Lady Spalletti Raspoini, who was also the president of “The National Council of Italian Women”. In 1928 he gives a series of lectures at the institute, called “The Energies Latent in Us and Their Use in Education and in Medicine”, which in time come to shape the theoretical basis for the work with opposites. In short, Psychosynthesis works with the hypothesis that any emotion or reaction has an opposite, and the task is to unite and create a synthesis between the two. What brings about the synthesis is the active I, the observer, the controlling factor in the human being, and later the higher Self. Assagioli agreed with Freud that healing childhood traumas and the development of a healthy ego were necessary goals. But in broad outline his work tried to show that human development does not stop there, and that the healthy person has a potential for growth, which Maslow later gave the name “self-actualization”. Assagioli went further and tried to show that human potential also holds a possibility of experiences with spiritual and transpersonal dimensions. 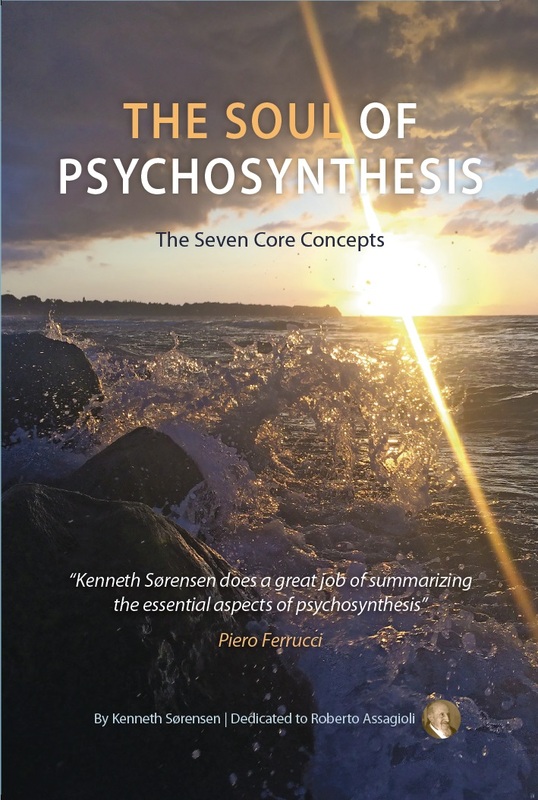 Thus Psychosynthesis is the earliest forerunner of the humanistic and transpersonal psychology of the 1960’s which forms the third and fourth wave in the history of Western psychology. Upon this basis he becomes the co-editor of both “Journal of Humanistic Psychology” and “Journal of Transpersonal Psychology”. Therefore it was also important for him that the various schools and institutes, which arose around the USA and in Europe, were independent and not controlled centrally. He was not at all interested in leading any kind of movement or organisation, and he refused to have any administrative control over the development of Psychosynthesis. Assagioli’s fundamental view includes both the individual and society, with a focus on synthesis and unification rather than analysis and splitting into smaller parts. Assagioli attempts to create a psychology with synthesis between Eastern mysticism and philosophy, and Western psychoanalysis and logic. It was important to Assagioli that Psychosynthesis remained scientific. Assagioli also has several references to Western mystics, like John of the Cross and Saint Francis of Assisi. Within Western psychology there is no doubt that William James, C. G. Jung and Viktor Frankl were spiritually related fellows. All his life, in his understanding of the pathological conditions in the lower unconscious, he drew on many of the psychodynamic theories. He believed that before spiritual development there had to be a psychoanalysis – not in the classic sense of the word – but a deep psychological transformation. But Assagioli clearly distinguished between his own religion and his work as a transpersonal psychologist and psychiatrist. He was not an intellectual in the normal sense of the word, he was far more a mystic, and his theories about man were to a very high degree based on his own inner experience. In the 1930’s he published several articles, later to appear in his first book: “Psychosynthesis” in 1965. It is here we find two of the most important articles on psychosynthesis: “Dynamic Psychology and Psychosynthesis” and “Self-realization and Psychological disturbances”. In the first article from 1933 he presented for the first time his oval diagram, or as it is also called, the “egg-diagram”, as a picture of the human psyche, where the relationship between the conscious, the unconscious, and the collective unconscious is outlined, establishing the phases of psychosynthesis. The second article is about crises connected to spiritual development. 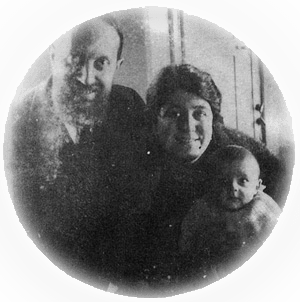 In 1938 the Instituto de Psicosintesi in Florence was shut down by Mussolini’s Fascist government, being critical of Assagioli’s Jewish background, his humanism and internationalism. That same year he was arrested, imprisoned and put into solitary confinement for a month. This turned out to be of great importance to the further development of Psychosynthesis. He is said to have told his friends that his time in prison was an interesting and valuable experience, which gave him the possibility to exercise psycho-spiritual practice. Feeling powerless, he made an important discovery about the will. He discovered that he himself could choose how to react to his imprisonment. 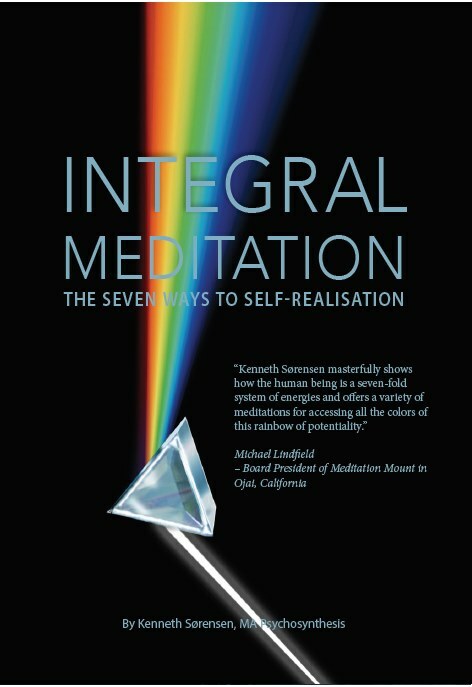 So he changed the imprisonment into an opportunity to investigate the inner areas of consciousness by meditating several hours daily, and writing articles on his experiences. Later he related that he had never before felt such peace, and enjoyed so much being alive. Just before his death he worked on an article about this experience, entitled “Freedom in Prison”. World War II was a hard time for his family, as Assagioli lived underground and often had to sleep under the stars. In 1943 he was actually hunted and had to hide in distant mountains. Here he met with a British parachute-soldier and several escaped prisoners. He experienced two dangerous episodes where Nazis chased him personally. They plundered and destroyed his family’s farm near Florence. This life during the war probably had a part in weakening the health of both himself and his son, Ilarios, who died from a severe lung disease at the young age of 28. 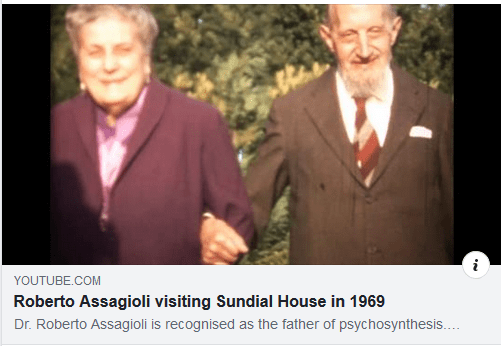 After the end of the war in 1945, Assagioli was able to resume spreading and developing Psychosynthesis. The Institute de Psicosintesi was re-established in Florence, where it functions to-day. In 1951 he established “The Italian Union for Progressive Judaism”, a branch of “The World Judaism Union for Progressive Judaism”, based on the concept of openness, understanding and cooperation between peoples and religions with the purpose of creating an organic and creative synthesis of the entire humanity. Psychosynthesis began spreading to the USA and Europe after World War II. In 1957 “The Psychosynthesis Research Foundation” was established in Delaware, USA. It was later transferred to New York, and this foundation published several of Assagioli’s texts in English. In 1958, following Assagioli’s visit there, a school was established in Valmy, USA, occupied with the education and research of Psychosynthesis. Later other schools of Psychosynthesis were established many places in the USA, Switzerland, Austria and Great Britain. In those years Assagioli cooperated with A. Maslow, whose article “The Creative Attitude” was published by “The Psychosynthesis Research Foundation”. During the 1970’s and 80’s Psychosynthesis expanded in North America and Europe. Many schools appeared, of which many later have been closed. Today it is possible to take an MA in Psychosynthesis from the two institutes in London. In Scandinavia there are institutes for Psychosynthesis in Sweden, Norway, Finland and in Denmark preparations are being made for an institute. Today Psychosynthesis is recognized in The European Association for Psychotherapies (EAP) with its own umbrella organization “The European Federation for Psychosynthesis Psychotherapists”. During his career Assagioli wrote several hundred articles and essays, of which many have been translated into several languages. A great number of these can be found on www.psykosyntese .dk. The best known books are “Psychosynthesis” from 1965, and “The Act of Will” from 1974. Even up to his death he worked on a book, which was published posthumously, entitled “Transpersonal Development”. 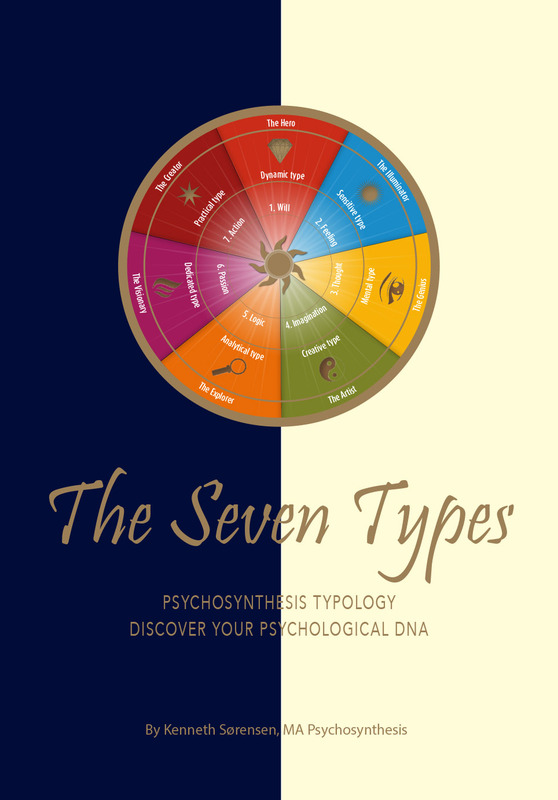 Another small book exists from his hand: “Psychosynthesis Typology”, which unfolds a sketch of the seven ways to self-realisation. “The International Psychosynthesis Directory” was published in 1994-95; at that time there were 107 psychosynthesis institutes in 32 countries. Some of these have probably been closed, and others may have appeared since then. Piero Ferrucci on Assagioli We will finish this biographical description of the life and works of Assagioli with a statement from Piero Ferrucci, one of the students of Assagioli, and himself a prominent teacher and author. Due to his cooperation with Assagioli for many years, he is probably the person, who knew Assagioli best. Among other books, he is the author of “What We May Be” and “Inevitable Grace”. “As far as I know, Roberto Assagioli is the only individual who has participated personally and actively in the unfurling of two distinct and fundamental revolutions in twentieth-century psychology. 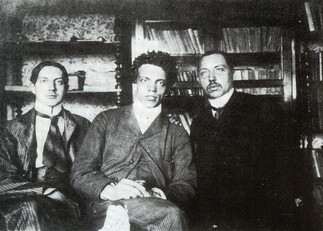 The first revolution was the birth of psychoanalysis and depth psychology in the beginning of the century: Assagioli, then a young medical student, presented his MD dissertation on psychoanalysis, wrote in the official Jahrbuch side by side with Freud and Jung, and was part of the Zurich Freud Society, the group of early psychoanalytical pioneers. The idea of unconscious processes in the mind made a lasting impression on him, an impression which he later developed into a variety of hypotheses well beyond the boundaries of orthodox psychoanalysis. The second revolution in which Assagioli participated was the creation of humanistic and transpersonal psychology in the 1960’s. A. H. Maslow was the pioneer of these new developments. The main idea was simple: rather than focusing on pathology in order to define the human being (as psychoanalysis had all too often done), or on the structural similarities between the human and the animal nervous system (as behaviorism suggested), the humanistic and transpersonal point of view, while not denying the findings of the other schools, put the main emphasis on the organism’s striving for wholeness, on the human being’s potential for growth, expansion of consciousness, health, love and joy. 8. McGuire, William, ed. 1974. The Freud/Jung Letters. Vol. XCIV, Bollingen Series. Princeton: Princeton University Press. Watch this short video with Assagioli, just prior to his death.